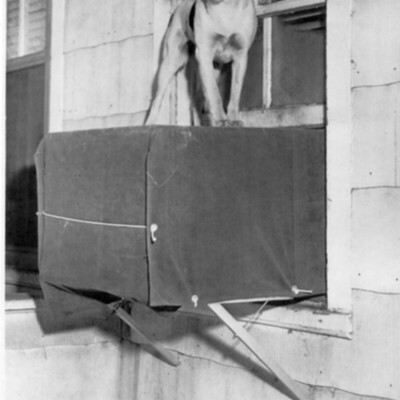 Dorothy, a mongrel dog who attached herself to the family of The Rev. Lloyd Sapp here, is causing quite a stir in the neighborhood. She likes nothing better than to loll on the air conditioning set at the Sapp home, even in winter.